What is better than getting the best home cleaning services? The answer is getting the best home cleaning services on either a weekly, bi-weekly, or monthly basis. Keeping a clean house grants a better state of mind. If you own a home here in New Westminster, British Columbia then you need to consider checking out our top of the line house cleaning services. A clean house is where a person goes after a long day of work to relax and enjoy the rest of their evening. You don’t want to spend the only spare time you have either on your day off or after work cleaning your house. There are so many other ways to spend your time. Here at New West Housecleaners we can set you up on a housekeeping schedule to have one of our maids over for a regular house cleaning. You’ll find out after our first visit house cleaning service, that the time you saved is worth a lot more than the cost of our maid service. Our maids are seasoned in the art of house cleaning, and we promise to treat your home as if it is our own with every house cleaning service we perform. Residential cleaning is simply what we do better than any of the other house cleaning services that compete with us here in New Westminster, British Columbia. To accomplish that we hire the best staff, and train them to become the greatest maids in Greater Vancouver. We place a high expectation on our maids so that you can challenge us by giving the highest expectations on what you would define as a clean house. There’s a proper tool for every job, and that includes housekeeping as well. 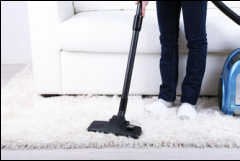 We acquire the best commercial grade vacuum cleaners as well as other cleaning products specially made to assist maids with house cleaning services. This is so our maids can turn your house into a clean house quickly, and as efficiently as humanly possible. When we pick these machines, we check the decibel rating to ensure we don’t disturb our housekeeping customers by running loud machines through their home. The weekly basis for our cleaning services is the most ideal especially if you have a lot of people living in one home, and are known to have guests. Biweekly is recommended if you want to keep a clean house, but don’t often have any guests. Our monthly scheduled house cleaning services are what we recommended to our house cleaning customers who don’t want to spend a lot of money on a maid service, don’t have a lot of people living in the home, and don’t have guests over on a common basis. 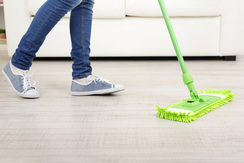 If our reoccurring cleaning service here in New West sounds like something you are interested in, call us now for more information on what we can do for you! Call us today at 604-670-6625 or email us to book your appointment or for an estimate.